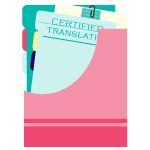 A certified translation agency is more than just some people putting meanings of words together; it’s actually a place where trust and quality are served according to the international standards of translation. There are a huge number of online translation companies, but not all will provide you with what you want exactly. To make sure that your task is done the same way you need it, you will need to search around, it’s always a client’s right to search around for better quality with lower prices. 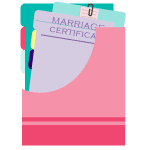 You should always go for a company which is certified. A certified translation company is trustworthy and provides you services which don’t let you down. If you are looking for a certified translation company in New York, we will be glad to be at your service. Here at Certified Translation New York, we are available 24 hours a day and throughout the week. We try to facilitate our clients with the most proficient services. 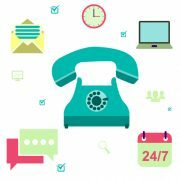 This means you can contact us anytime and any day according to your convenience. We have the lowest rates in town while providing high-quality translations. We have translators which are certified, and we can translate over 100 languages for you. 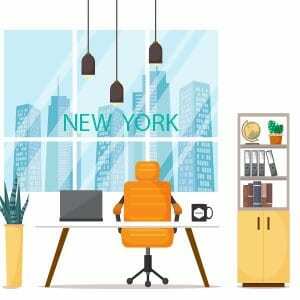 All you need to do is, contact our certified translation company in New York or connect with us online, we will be available for you at any hour with the same quality and precision. We are a certified translation company in New York which provides accurate translation services. We provide both certified translations and notarized translations, right here in the city of New York. We aim to fulfill your requirements and translate your documents to the best of our ability. It’s a great option to choose a translation company in New York which guarantees you the best quality with inexpensive rates. These days, businesses are run by making false promises and you might fall for a false promise too, but its best to clear all your doubts in the first place when it comes to translation services. We understand the responsibility our customers trust us with. 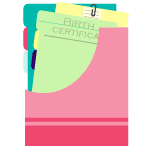 Documents like immigration documents and others need to be translated with great attention to details while keeping the requirements in mind. If not, these errors which show in the document can delay the whole process of immigration. The immigration officials don’t accept documents that contain errors or aren’t certified by a professional translator or translation company. Such issues are sensitive and we believe in satisfying the needs of our customers. We can help you achieve your goal because we strive for client satisfaction. Along with our work, we offer a guarantee that all our translations will be accepted by the agencies the documents were intended for. We can translate any of your personal documents for any need. And they will all be certified. This means that the translation will be accompanied by our certificate of authenticity which states that the translation is a true representation of the original and the fact that we are competent to translate from the source language into English. If your documents are to be used at USCIS or any other institution requiring certified translation, that is exactly what you need. 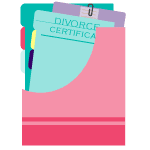 If for some reason you need notarization for these documents we can do that as well. Our teams include translators and efficient proofreaders with great experience in translation. The translation is a team work of two linguists: the first translates the document and the second linguist edits and proofreads the translation. Doing it this way, there is no room for errors. Despite so many steps, we are fast and we are able to provide your translations in 24 hours or less. 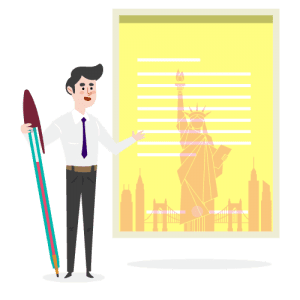 Why use a certified translation company in New York? Client exposure: Client exposure is the backbone of a business, and we are here so that we will have strong and diverse exposure to as many people as possible. The client diversity in New York is breathtaking. We get content from all kinds of people who are looking for sensible and economical translation agencies near them. Professional Exposure: Being in New York allows us to get the most excellent occupational exposure we could ask for. We understand the hub of multilingualism and a task to adhere to the highest of standards. The challenge is refreshing and invigorating to us, and we love to learn more things. Our services are affordable, and you will find our rates well within your budget. We work with middle-class clients who need to save every penny they can. We are a certified translation company in New York which is affordable, call us now and find out what we can do for you! Looking for a certified translator NYC based? So here comes the big question; do we have certified translator NYC born and bred?! Yes, we do, we have many translators who are living in New York and some of them are working at the office. We also have a reliable online translators’ network that includes translators from all around the world. We are a modern translation agency, and we maintain our credibility through ISO certification and membership with the American Translators’ Association. We do not bother to put up a billboard to get our clients. But we are still a translation agency that is solidly based in the United States. We have offices in various locations in the country, and New York is one of our strongholds. Many clients need to get translations that are confidential. They want to meet in person to validate the translation agency. They also want to make sure that the translation agency they are working with will serve them well. This is where we want to make sure that we do not fail. Come visit our office and get in touch with a certified translator NYC based. 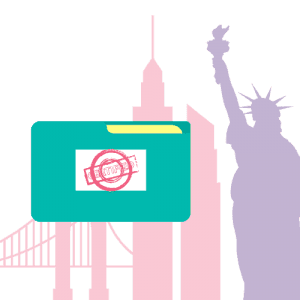 We are a translation company in NYC which provides certified and/or notarized translation services thanks to highly qualified linguists who are perfectly aware of the legal requirements of any state institution in the US. We assign translators based on their skills and combination of languages, and we have translators for any language you can think of. They entirely craft their translations to assure that the final text is as close as possible to the original one and that it adheres to the rules and regulations of the institution it was meant for. All our translations come with guaranteed acceptance at any institution in the US. All you have to do is send us your documents and tell us where you want to use the translation, and we will send it to you in 24 hours, ready to be submitted to USCIS or any other institution. 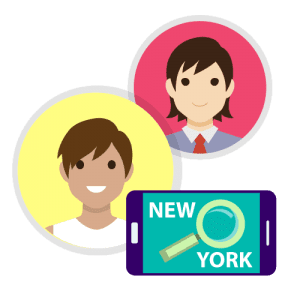 Contact the leading translation company of New York if you need translation or legalization of your certificates or documents through the contact form below, e-mail, telephone, online through the live chat at the bottom of the website, or visit our office at any time. We are available 7 days a week for your convenience and we charge the lowest prices in NYC. Why Would You Need a Certified Translator in New York? 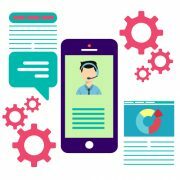 When an experienced certified translator sees a text, they can provide a reliable estimate of how much time they will take to translate it, and the cost of the translation based on its content and length. 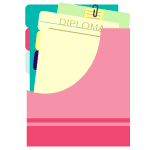 Certified translators rarely work without utilizing some translation software and tools, such as translation memories to facilitate and speed up the actual translation work. Translation experts are also technically skilled and conventional for preparing different file formats. This assures that no time is wasted on doing unnecessary file conversions or spending time wondering what to do next. 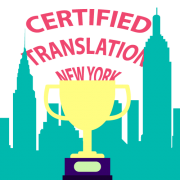 The majority of certified translators in NYC specialize in translating texts of a specific area of expertise. They process terms and other subject matter with greater precision and have great language and writing skills. Sometimes the text that needs to be translated has been written in a way that makes it possible to explain them in several different ways. A certified translator masters the source language to evaluate various measures of the source text.